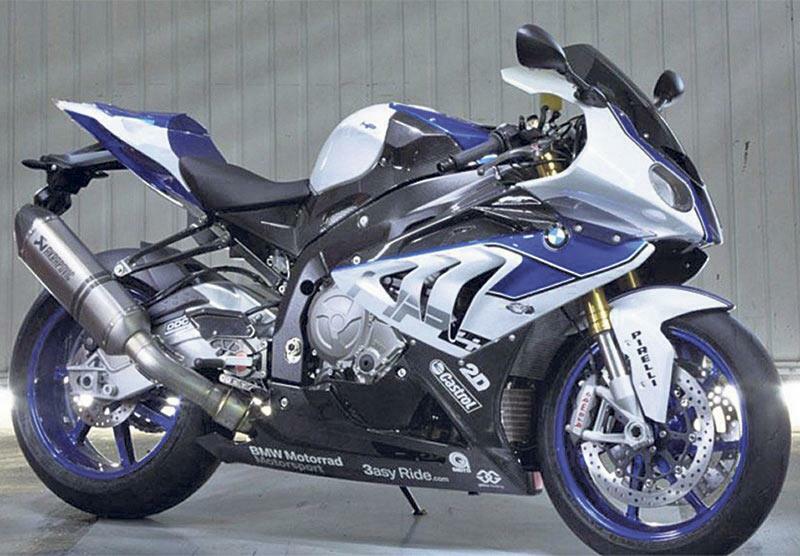 BMW has officially unveiled the new BMW S1000RR HP4 which has the world’s most advanced semi-active suspension system. The HP4 is an S1000RR with the BMW Dynamic Damping Control (DDC) along with a host of BMW High Performance (HP) parts. DDC has not yet been seen on a production bike but will be the most advanced electronically adjustable suspension system which will actually adjust to riding conditions and road surfaces rather than the pre-programmed set-ups found in the current BMW Electronic Suspension Adjustment (ESAII) system, which must be adjusted by the rider. A full titanium exhaust, forged wheels and a host of lighter carbon parts have not only boosted power but have also shed nearly 10kg of weight from the bike. Full details in next week’s MCN out on August 1. "As if the standard S1000RR wasn't good enough already, BMW have made it even faster, lighter and more technologically-advanced"
"The 2012 S1000RR is a giant leap forward, thanks to a host of small, but important mods"